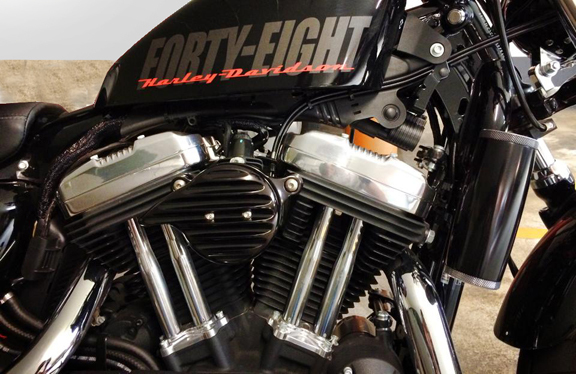 Epoch Brass Air Cleaner’s are made for custom Harley Davidson motorcycles (HD), custom choppers, bobbers and most custom motorcycles. 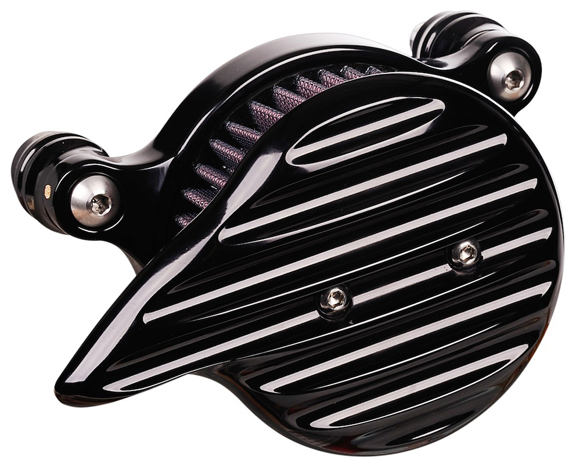 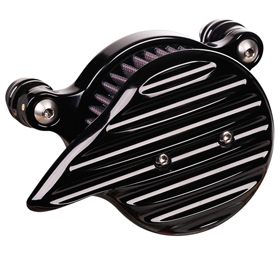 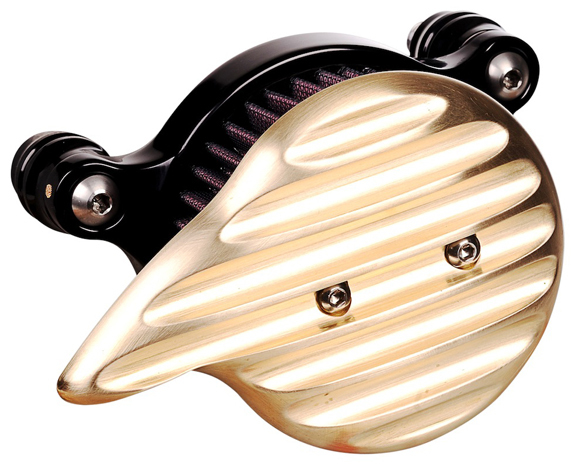 These Brass Air Cleaner’s for Harley’s feature a super clean and hi tech design which will definitely make your custom bike stand out. 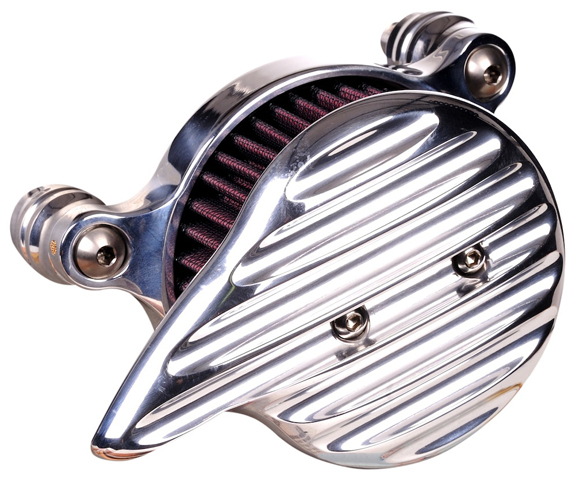 Epoch aircleaner covers are CNC machined out of billet aluminum and brass. 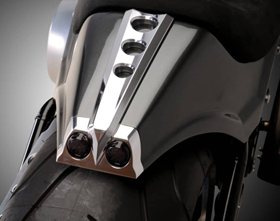 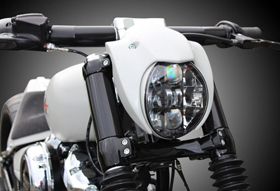 Mounting bracket and front cover are available in different finishes, so you can get the custom look and color combination that best matches the style of your bike. 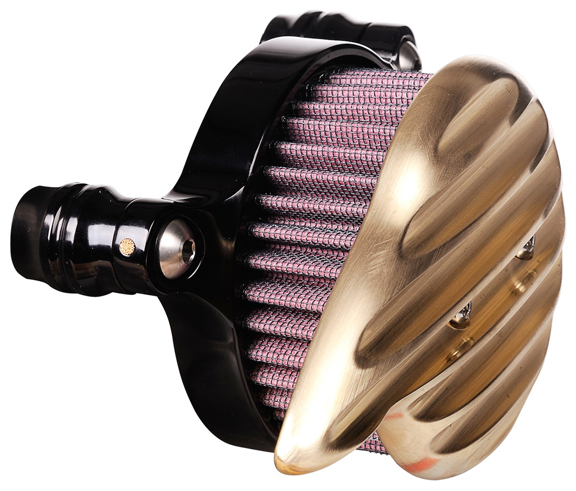 Kit includes K&N air filter element and mounting kit. 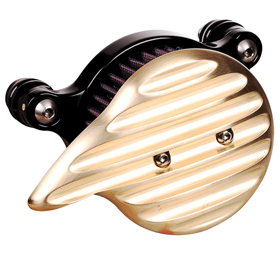 Epoch Brass Air Cleaner looks great combined with our Brass Gas Caps for Stock Tanks, Juicer Custom Motorcycle Headlight and Juicer Brass LED Tail Lights.